Do You Know Your Yearly Maximum? Your yearly maximum is an important number to know. 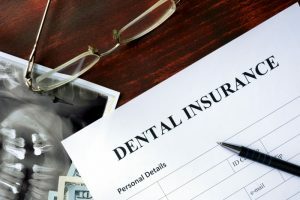 It’s the most amount of money your insurance plan is willing to pay for dental work in one year. The average yearly maximum is around $1,000 per year, but it can vary based on your insurance. It’s important to know what your maximum is so you know how much dental money you’re working with for the upcoming year. Any unused benefits won’t rollover after December 31st. The deductible is the amount of money you must pay out of pocket before your insurance can step in to cover cost. This fee will vary based on your insurance plan, and if you see an out-of-network provider, you may have a higher deductible. Your deductible will also restart after December 31st, and the average fee is around $50 per year. If you pay premiums, you need to be using your benefits. This is money taken out of each paycheck to help cover dental costs and provide dental benefits to you. The only problem is if you’re not seeing your dentist, you’re paying premiums that are being wasted. Even if you don’t have any dental issues, you should still see your ‘dentist near me’ for twice-a-year checkups and cleanings. This will ensure you’re cashing in on your benefits, while also keeping your mouth healthy. Do You Have Any Oral Health Issues? Besides saving money, utilizing your dental benefits before the year ends will ensure that you’re keeping up with your oral health too. Many people delay dental treatment because of the expected cost, time commitment, or severity of the dental issue. But, if you prolong the dental work you need, you could be putting yourself at risk for more extensive and expensive treatment in the future. Now that you know why it’s so important to use your dental insurance benefits, do you have an appointment set up before the year ends? Contact your local dentist to keep your teeth healthy and your pocketbook full. A graduate of NYU College of Dentistry, Dr. Gary M Klein provides high-quality care to all of his patients. He is committed to staying up-to-date on the latest in dentistry, which is why he takes continuing education courses. He currently practices at Klein Family Dentistry, where he is an in-network participant with various major insurance companies. For any questions, he can be contacted through is website or by phone at (717) 652-6644.